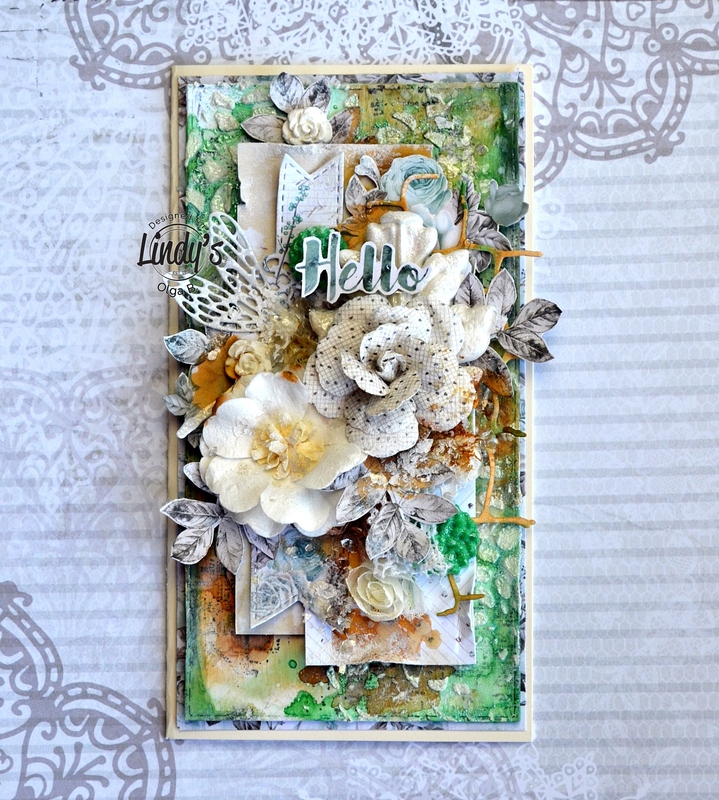 Olga Bielska here today with a tutorial on how you can create this card inspired by the colors of an Autumn forest, using some beautiful Lindy’s Stamp Gang products. You will see the creation process in the video tutorial. I started by painting the base with clear gesso. Then I sprayed the base with sprays: Mad Hatter Mint Shimmer Spray, Steampunk Sepia Shimmer Spray and Frozen Jack Frost Shimmer Spray. After drying, I added some reflections of the stamps and applied the paper paste through the stencil. On a wet paste sprinkled Silver Moon Mistletoe Embossing Powder. I colored paper elements with embossing powders: Silver Moon Mistletoe and Orbit Olive Gold. I created a composition ready to add to the background. At the end, I added a little of color with a Steampunk Sepia spray and a white color using gesso. I finished the project by adding a bit of mica. Sprays: Mad Hatter Mint, Steampunk Sepia, Frozen Jack Frost. Texture paper paste, gesso clear, gesso white, mica flakes.